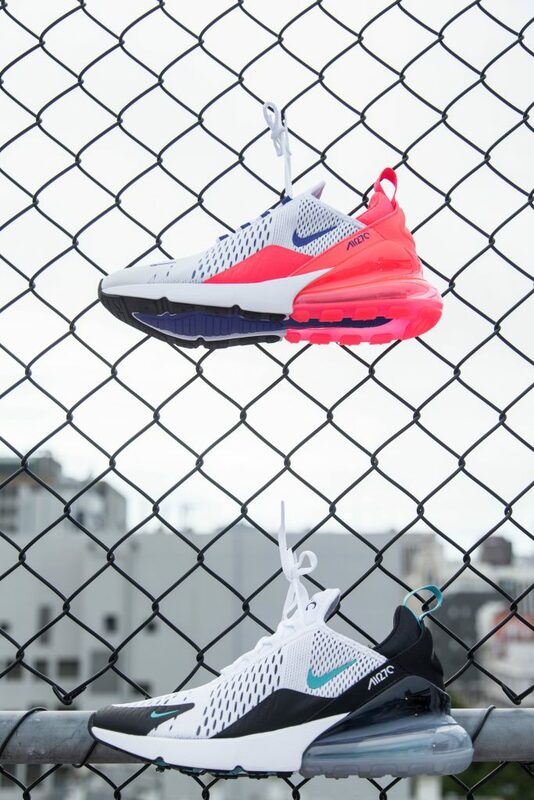 First released in 1987, Nike’s Air Max shoes have become one of the sportwear giant’s most popular and iconic designs. 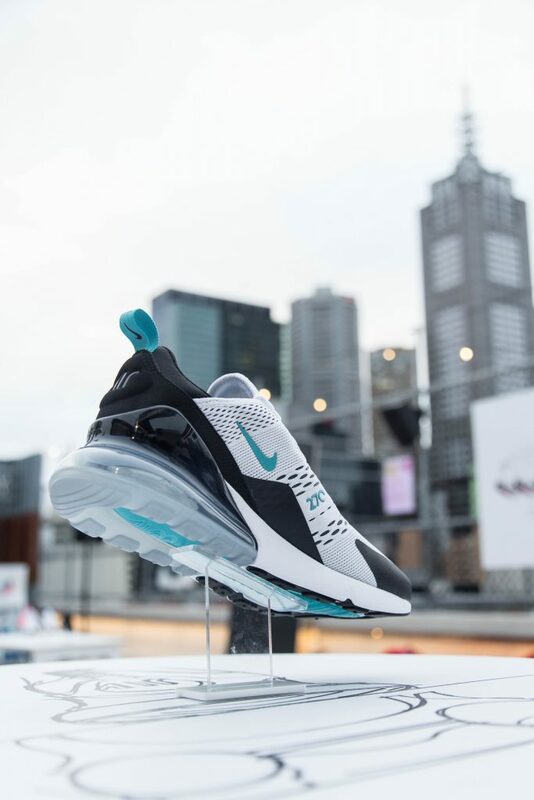 Utilising a large air cushioning unit on the heel of the shoe, the Air Max has been reinterpreted over the years in different colourways and patterns, making them collectors items. 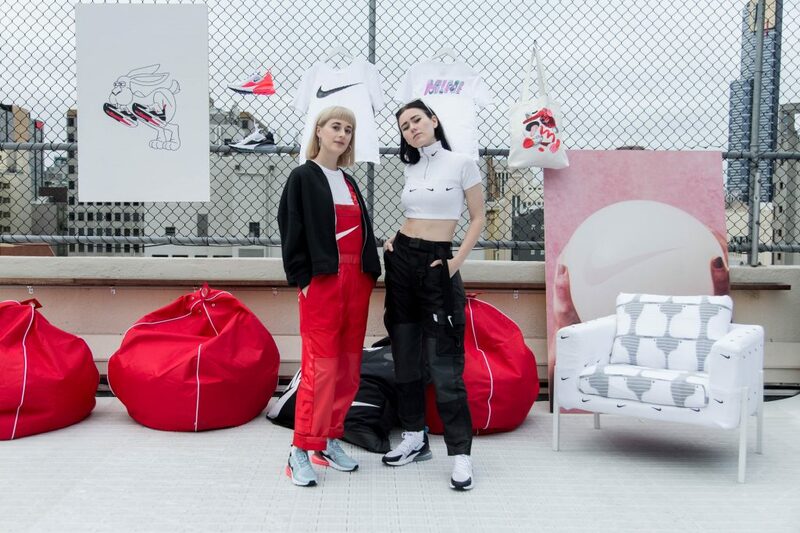 To celebrate the latest incarnation of the cult show, Nike transformed Curtin House into Air House, creating an interactive playground inspired by Air, featuring creative collaborations by artists Ta-Ku, Sam Price, Alexandra Hackett (Mini Swoosh) and Christie Morgan. 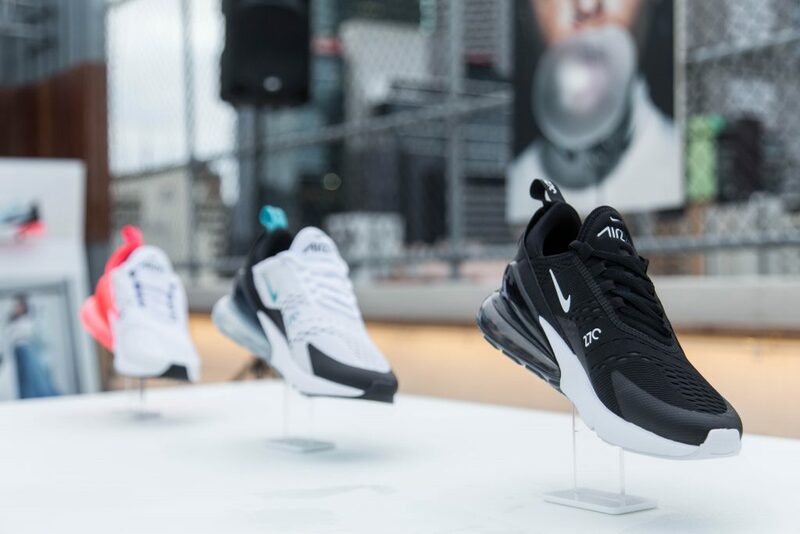 Guests will be able to experience the new and unexpected, while celebrating the newest expression of Air – the Air Max 270 – at the epic Air House party on Sunday 25 March. Guests will be treated to art and sound installations, live music, creative workshops, art and design talks from Sam Price and Christie Morgan, artistic building projections, digital first moments and more. 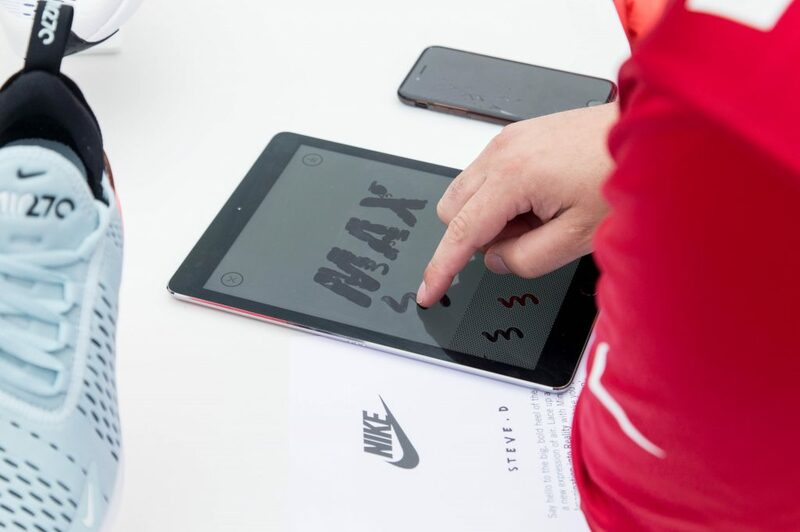 To celebrate the new Air Max, we caught up with Pitch Studio’s Christie Morgan who worked with Alexandra to create an app which would allow guests to customise their own Nike tshirt. Congratulations on an amazing collaboration! Can you tell us about your involvement? 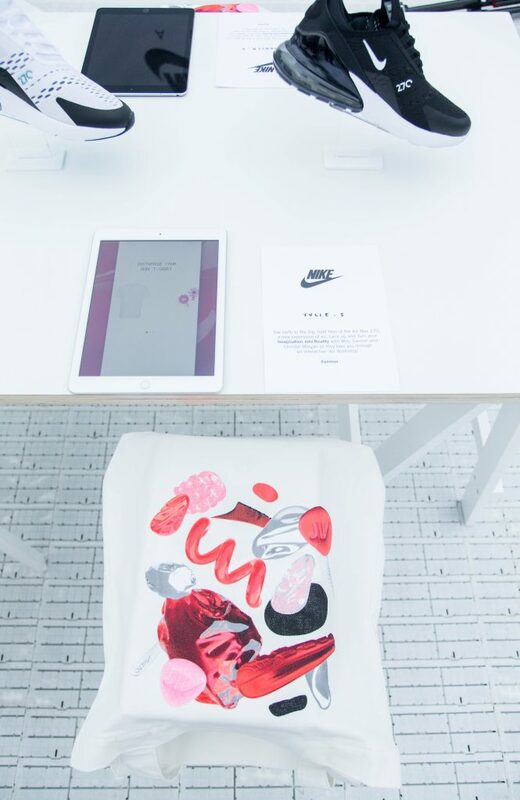 Alexandra and I were asked by Nike to create a workshop and we decided to create something that was very interactive. 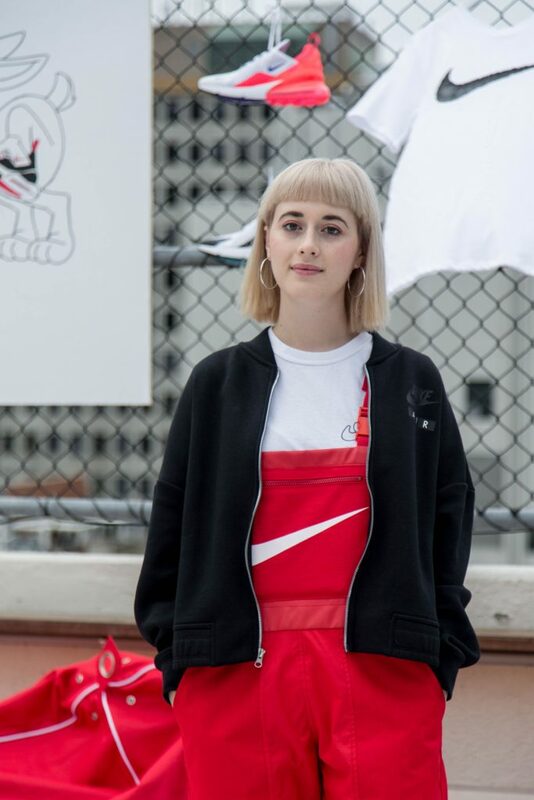 Alex’s work is very tangible, she makes items out of reconstructed Nike clothing. 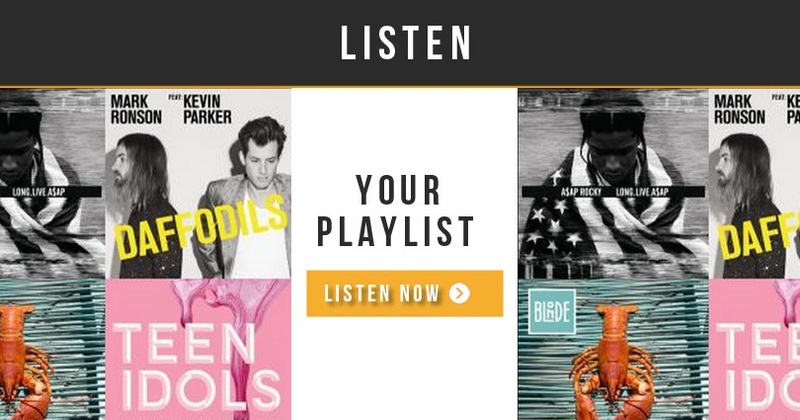 I focus really heavily on digital experiences. It was a really great way for us to collaborate and turn imagination into reality. 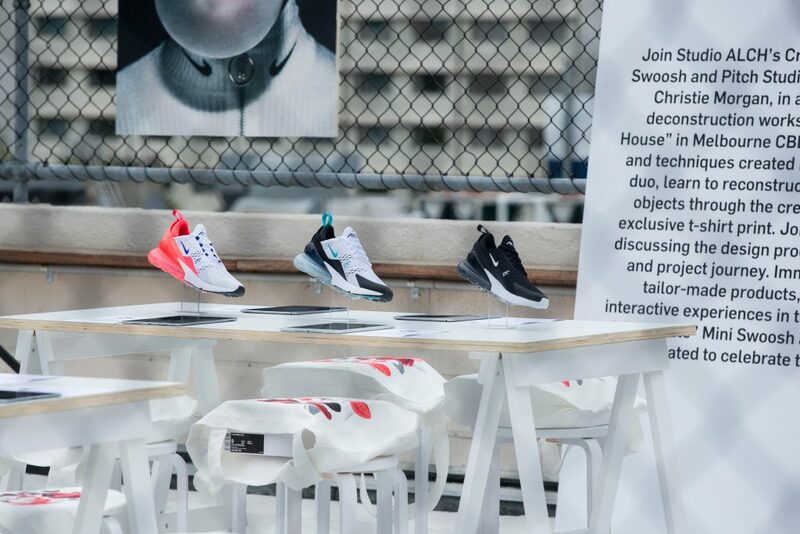 What goes through your head when Nike says they want to collaborate with you? I was really excited. They really gave us the reigns that feels really true to our practices. 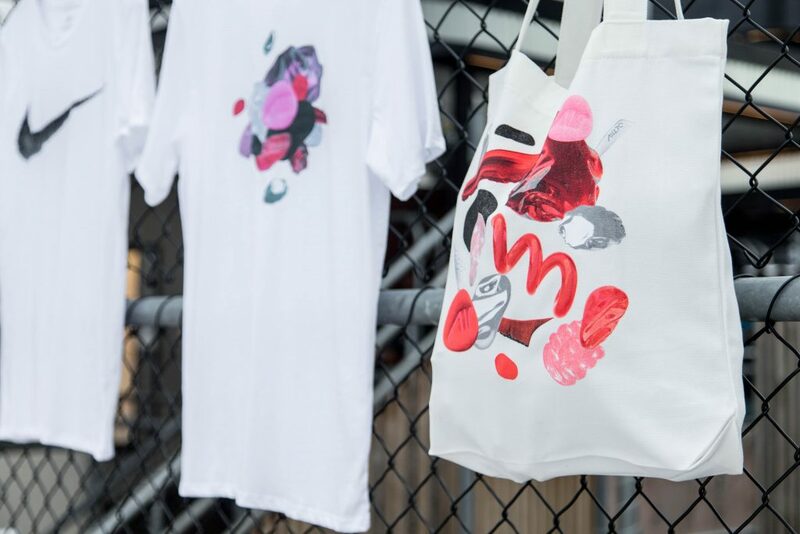 We were able to take a concept that was physical to start with and turned it digital and then it comes full circle to a physical output in the form of a tshirt. 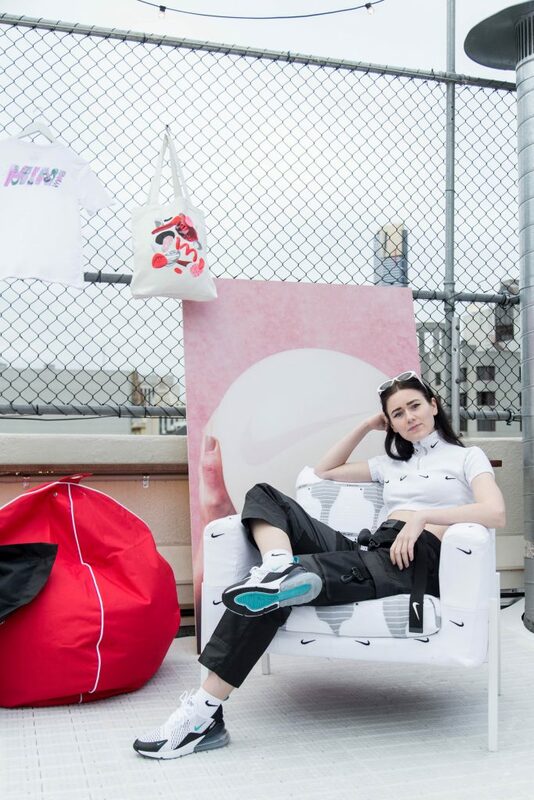 What does it mean to be a woman associated with Nike? 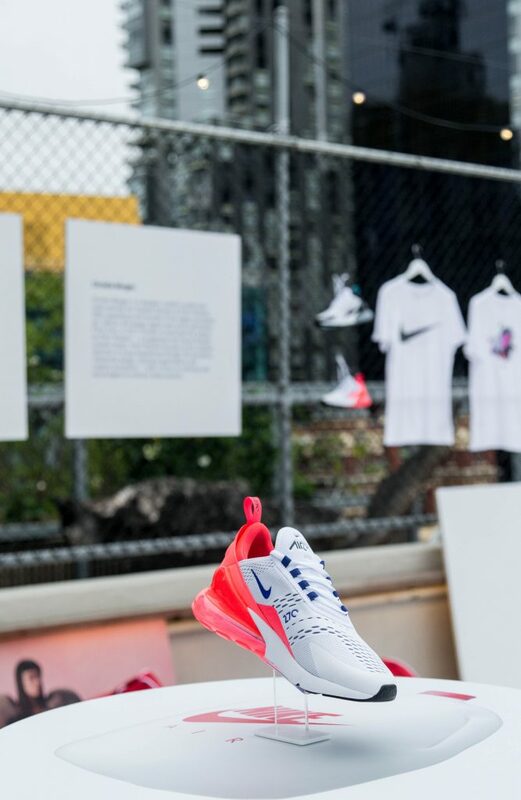 I really respect the culture of Nike. 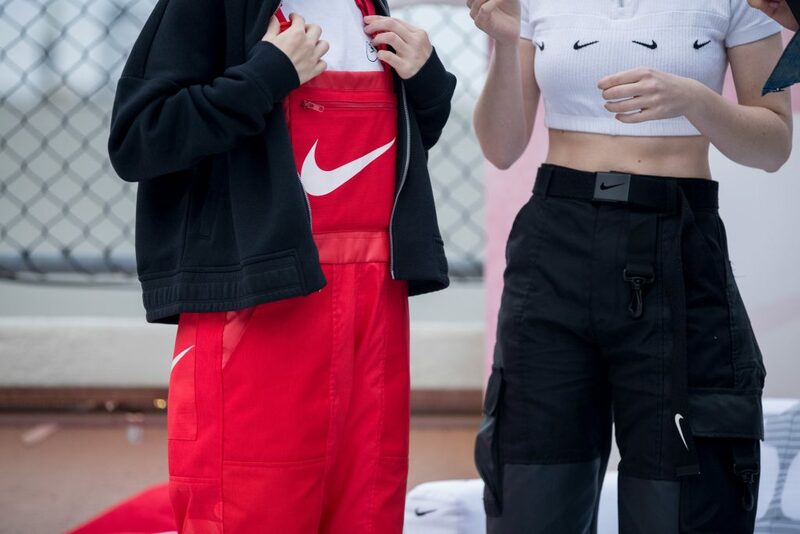 It’s great to see a brand like Nike treating men and women equally. 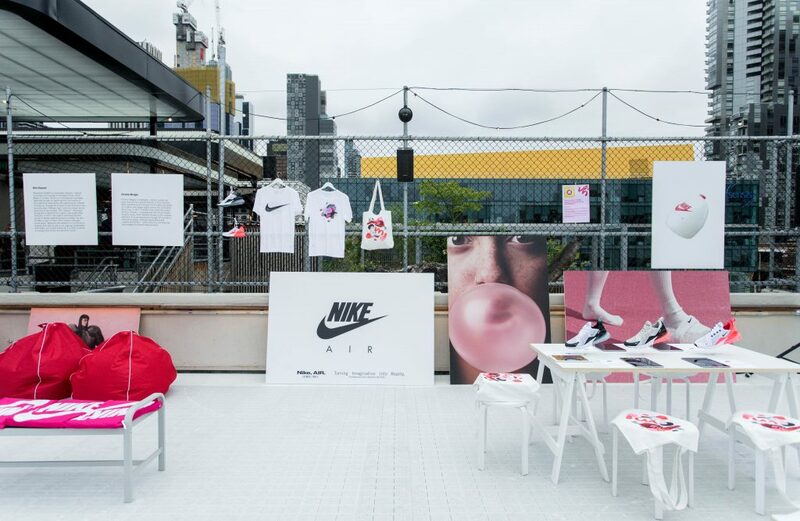 Nike are really interest in supporting women (including women of colour which is fantastic to see) and it’s great to be a part of that. 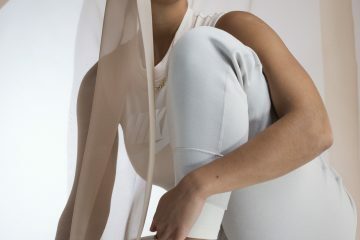 What excites you about fusing fashion and technology? Fashion is a very interesting indudstry to be immersed in. Joining tech with that is the next logical step. We are using our phones for literally everything. So why not integrate that into fashion. I’m excited to continue to see the concept of e-commerce grow, for example it would be great to see augmented reality used. 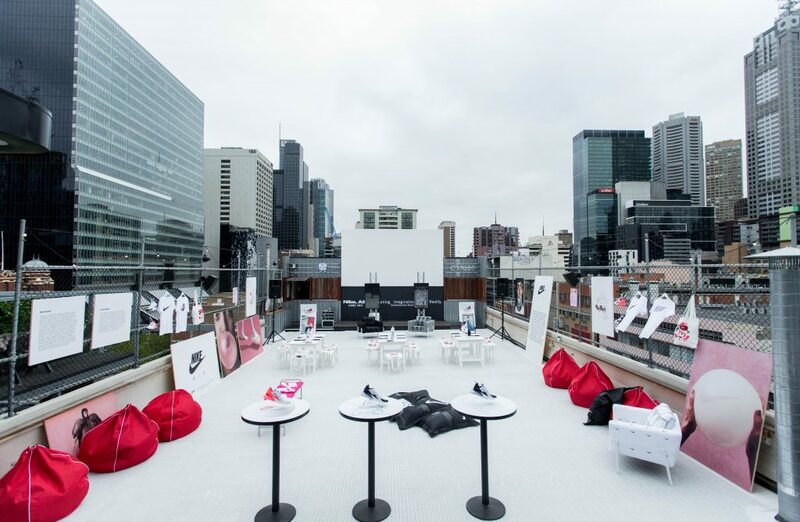 Tech is also a great way for consumers to really get immersed into a brand through experiences like the one we have created for Nike. 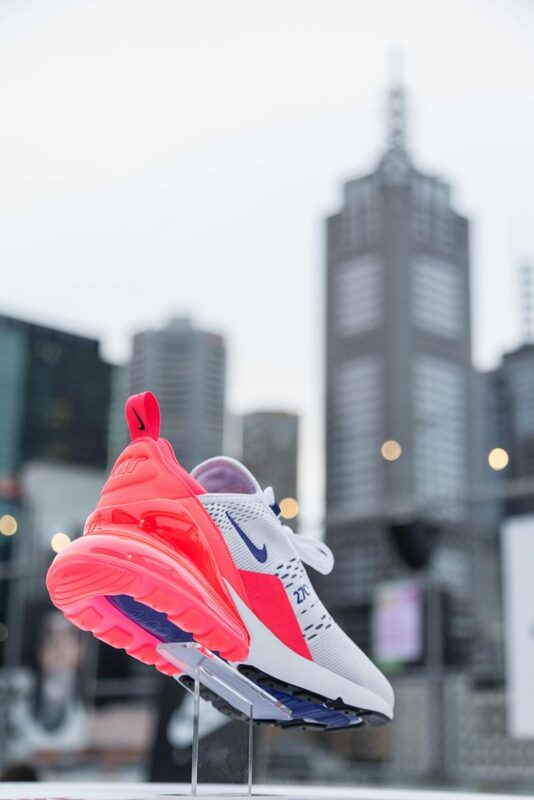 If you were a Nike shoe what would you be? I have a very soft spot for the Air Max 97’s, I just love the silhouette of it. 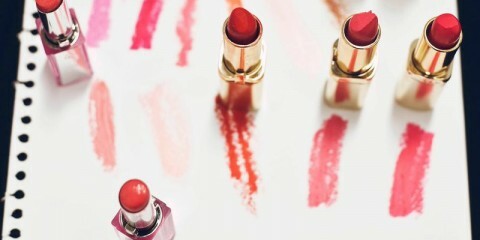 It would have to be red or pink as those are my favourite colours!